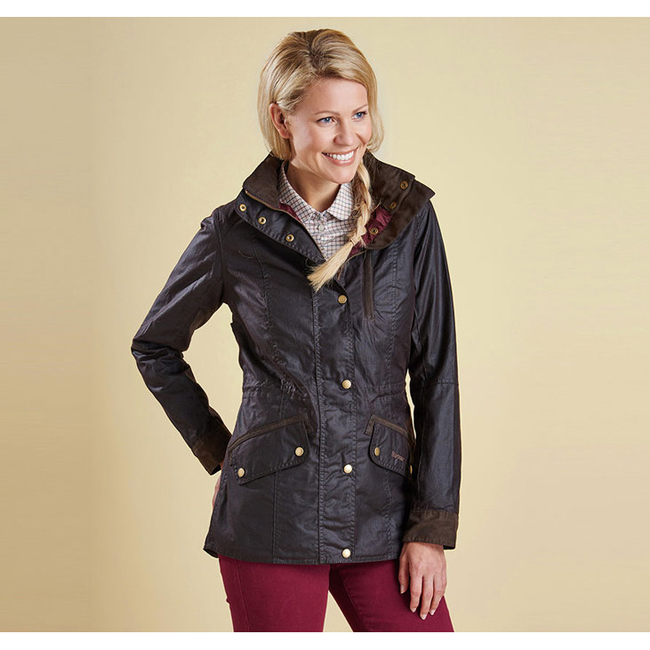 The Badminton Wax Jacket is a feminine, flattering style that’s a perfect choice for those who love riding or simply being active outdoors. Crafted with a hardy waxed cotton outer, this winter-ready jacket offers reliable protection against the elements. Branded studs fasten through to a suedette-lined stand collar featuring a horse-engraved stud, while an inner waist drawcord allows the fit to be adjusted to accommodate extra layers without sacrificing shape. Luxurious suedette also trims the pockets and cuffs, and the cotton lining carries an authentic tattersall design inspired by Barbour’s equestrian heritage. I bought this jacket as an inner shell for a rain jacket. It is a little thicker than I anticipated but it is of very good quality and can therefore be worn instead of a pullover.